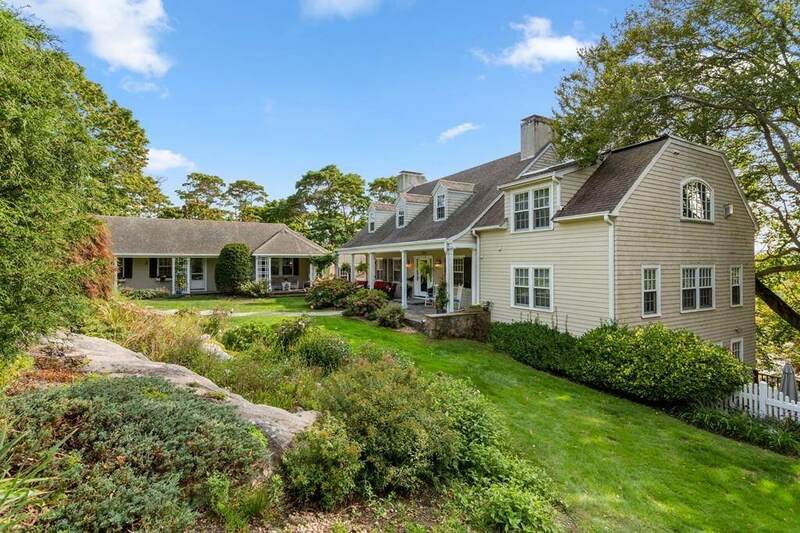 Nestled high atop the granite ledges of Marblehead Neck amid mature trees and fieldstone walls is this 1.3 acre, country style estate. Brimming with sophistication, warmth, fireplaces, and hardwood floors, this 15-room Colonial home affords formal and casual living throughout 5,600+ square feet. Entertain in the chefs kitchen, cathedral great room with fieldstone fireplace, adjoining sunroom, or living room with wet bar, fireplace, and access to the deck overlooking the harbor and beyond. Six bedrooms include a master suite with walk-in closet, fireplace, and luxurious bath. Attached one-bedroom guest house. 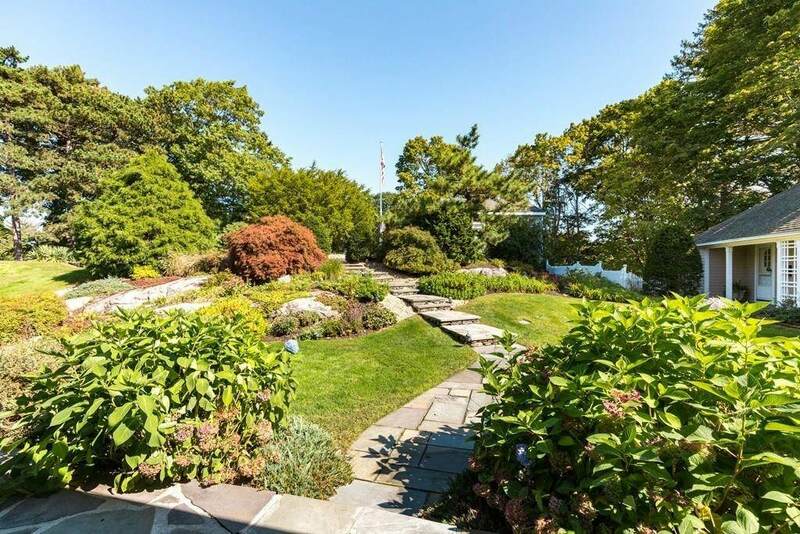 Multi-layered landscaping maximizes natural country setting and unmatched privacy. 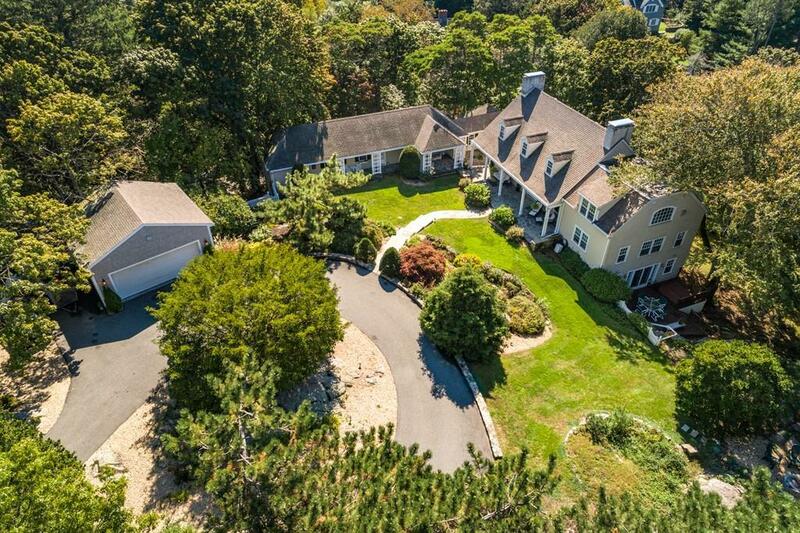 Listing courtesy of Rit Pierce of Coldwell Banker Residential Brokerage - Marblehead. 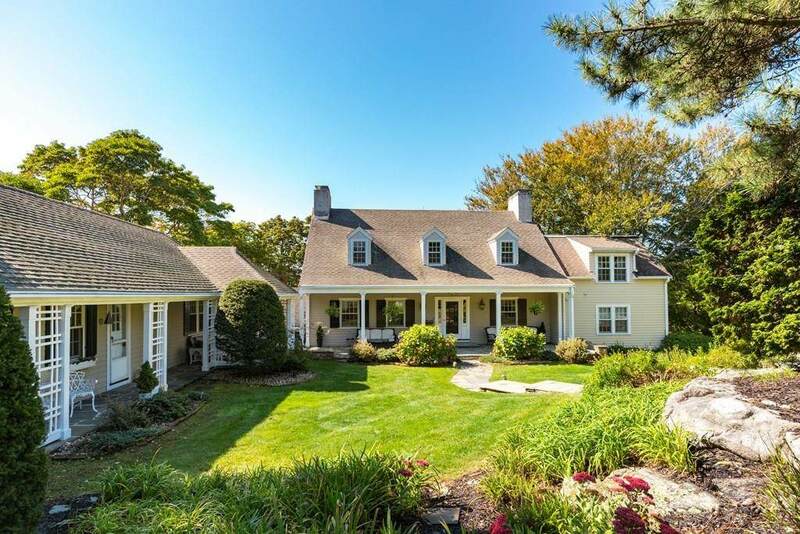 Listing provided courtesy of Rit Pierce of Coldwell Banker Residential Brokerage - Marblehead.